For many years, thick envelopes with a military return address arrived in newsrooms across the country. The packages eventually landed on the photo editor’s desk where they remained unopened before being thrown in the trash. That’s the way it went for most of those big brown envelopes, which contained photographs of various military operations, ceremonies or even wartime situations. Intriguing content, you would think, for a daily newspaper. Editors, however, often found the photos unusable and the photos went unseen. That changed in 1963, when Demarest, who served several years in the Air Force, received a call from the United States Navy. In just a few months, Demarest designed a 30-credit, two-semester curriculum that was set to launch in the fall of 1963. Fifteen sailors made up the first class, the class of 1964. They were eager but they were green, Demarest says. “We found out that we had to teach them much more than we thought, even about the technical side of it,” he says. The program sought to do more than make the students better photographers, Demarest says. The Military Visual Journalism (MVJ) program—as it has been called for the last 50 years—seeks to train students how to be better communicators, better storytellers, better journalists. The program also gives these active-duty military personnel a college experience at a major university. The students take classes alongside undergraduate Syracuse University students and experience college life for a full year, which is something many would never experience otherwise. It didn’t take long, Demarest says, for word of the program’s success to spread. Soon, other branches—the U.S. Army, Air Force, Coast Guard and Marines—wanted to send students to the program, he says. Demarest, who taught at the Newhouse School for 35 years—and chaired the MVJ program for 25 of those—says it was an exciting time for journalism. The program began during the early years of U.S. involvement in the Vietnam War, which was the first time Americans watched a war unfold on live television. In the spring of 1970, the SU campus was shut down for a week as students protested the death of four Kent State students who had been protesting the U.S. invasion of Cambodia. All classes at SU were canceled. Except one. In its 50-year history, the MVJ program at the Newhouse School has graduated nearly 1,000 active military personnel from the intensive, 10-month photo and broadcast program. 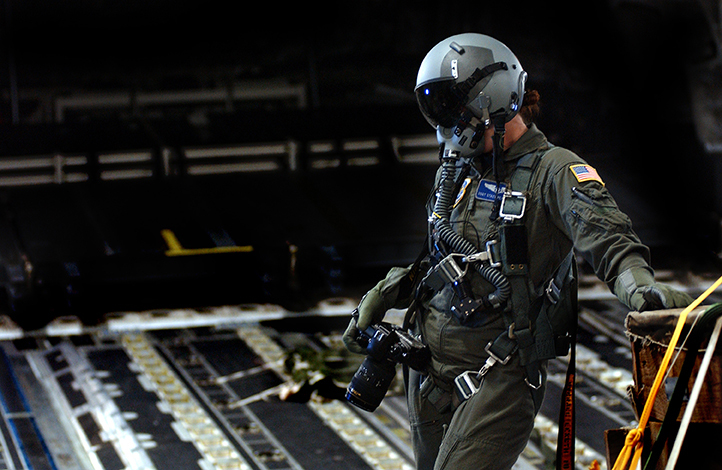 Many MVJ graduates have gone on to prestigious careers in military photography, holding positions at the Pentagon or White House TV, serving top military officials in addition to being on the front lines of military maneuvers from routine trainings to full-scale war. The Navy is currently the only branch sending students to the program. The Newhouse MVJ program has been witness to one of the largest technological shifts in any industry. When Demarest started the program, he says, they weren’t even shooting color. Photos were shot on black-and-white film, developed in a darkroom and often mailed around the world in order to be shared and seen. Today, the vast majority of photography is shot digitally and an image or video can be transmitted around the globe in just seconds. The technology behind the MVJ program may look different but one thing remains the same, Demarest says, and it’s why the program remains relevant.